This lightweight, monocular reflex hood's unique design features a right angle viewer that rotates 360° to accommodate different camera heights. Look down through it during low camera setups and then just twist it to adjust for high setups. Because it is so compact and lightweight, you can leave it on the camera during film insertion and exposure so it's always ready for your next shot. It's also perfect for copystand applications. 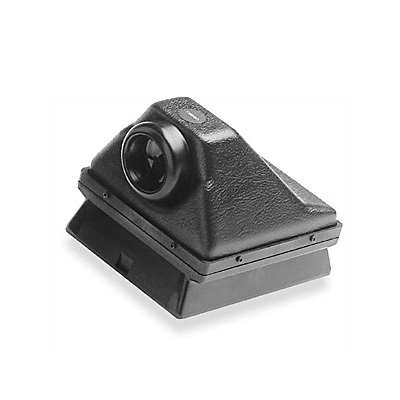 Mounts quickly to your ground glass back, locking securely in place with a single sliding lever. The 2.5x magnifier enhances both composing and focusing, while an optional Fresnel lens[sold out now] provides the brightest possible viewing over the entire image area. The soft rubber eyepiece also eliminates extraneous light, adds comfort during use and protects glasses from scratching.